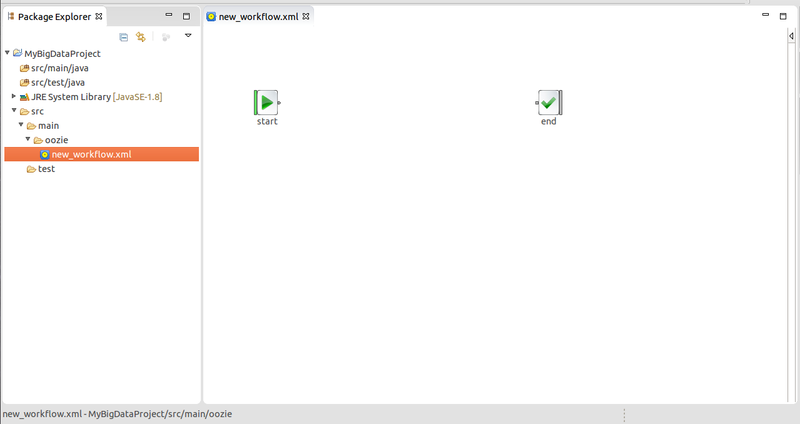 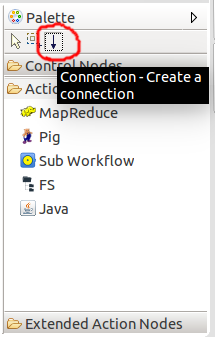 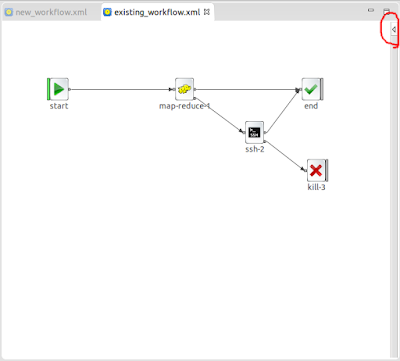 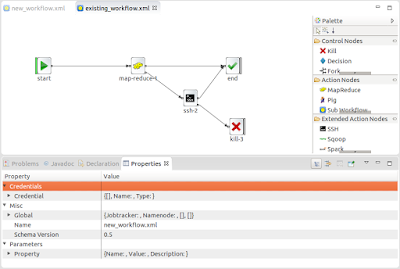 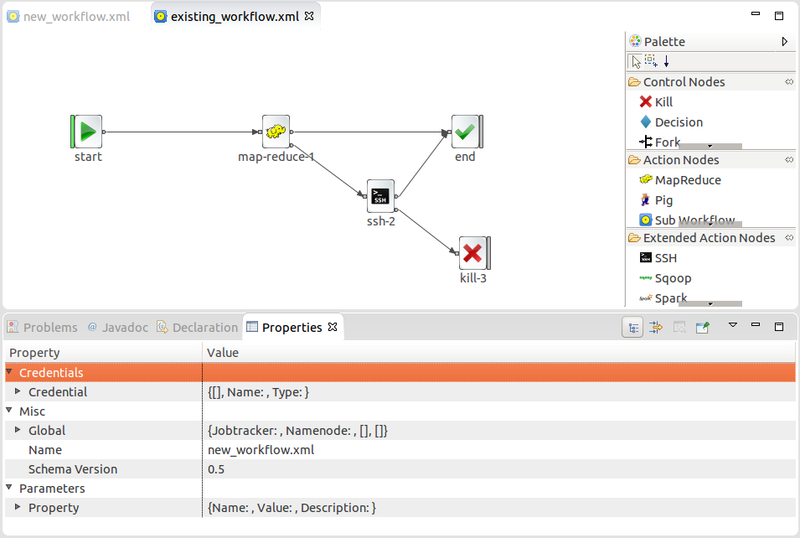 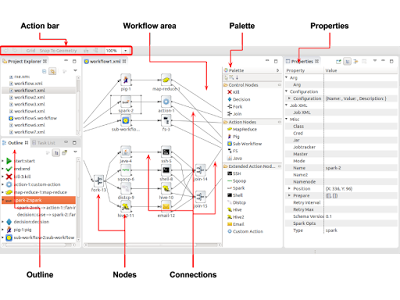 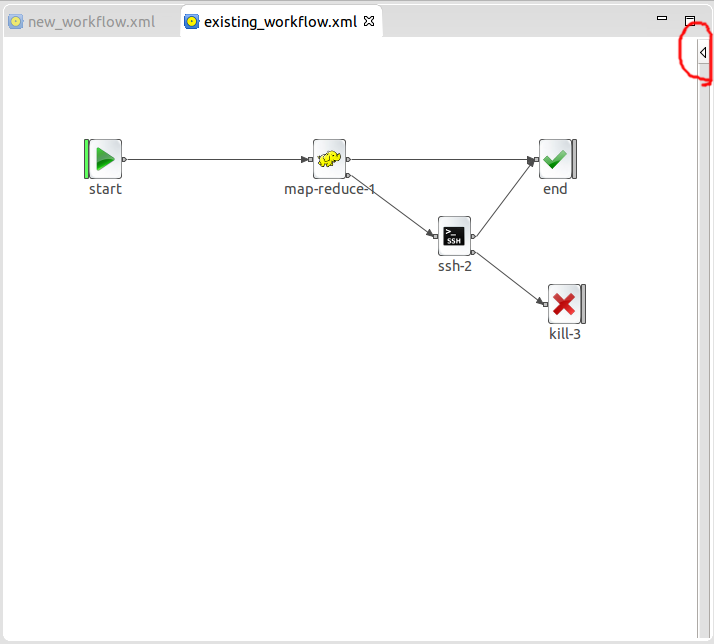 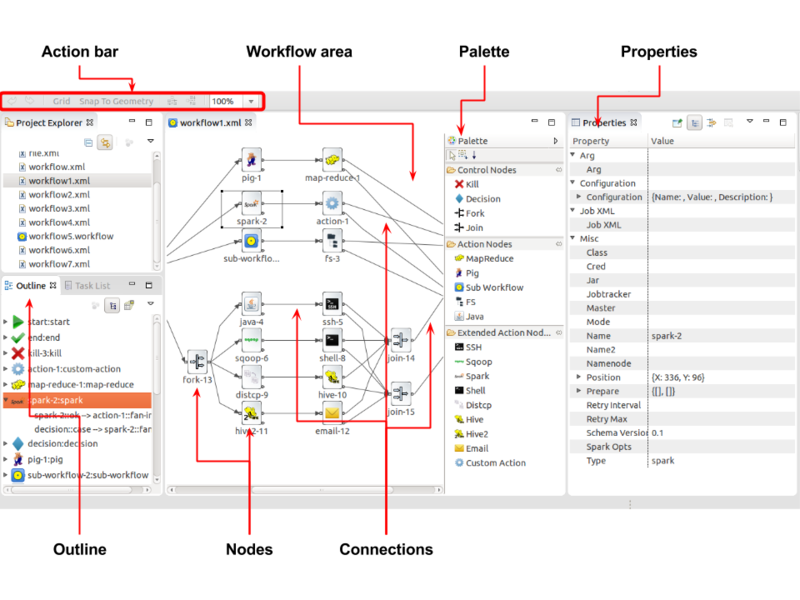 The Workflow area is an empty white space where workflow nodes and connections are placed. 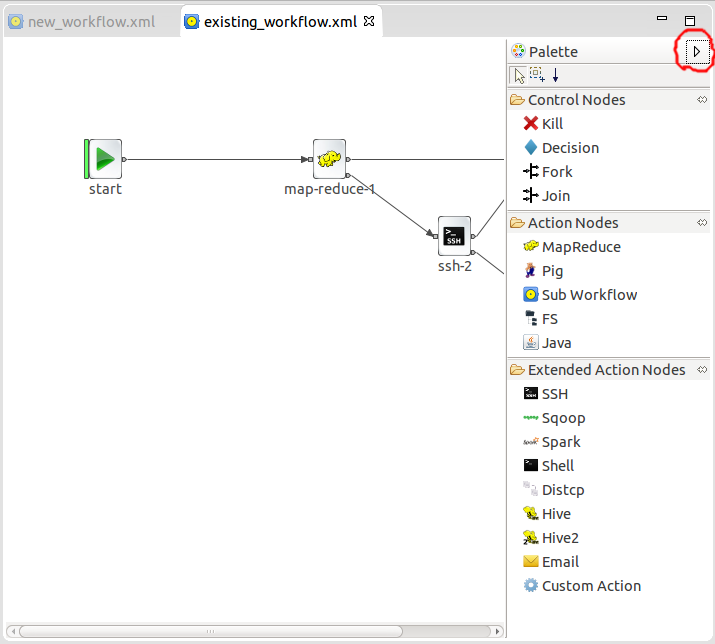 The Palette holds editing and node creation tools. 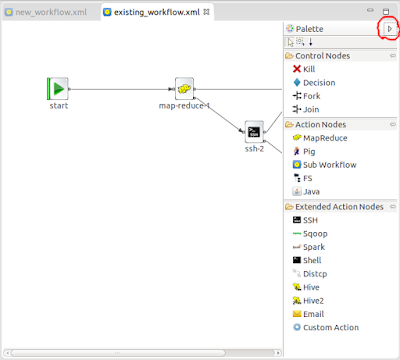 Nodes are categorized into three categories: Control Nodes, Action Nodes and Extended Action Nodes. The Properties sheet holds the properties of the currently selected items. 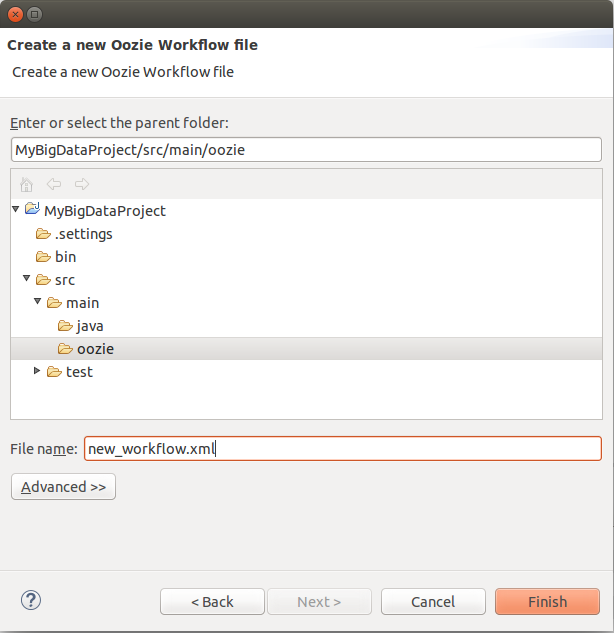 The Outline page is a kind of a summary of the workflow contents. 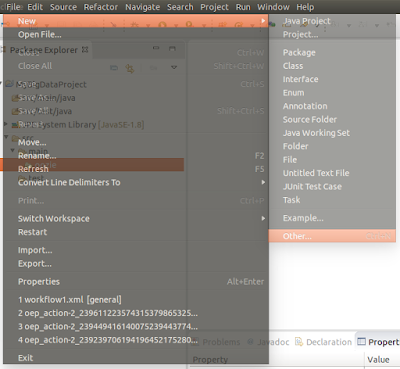 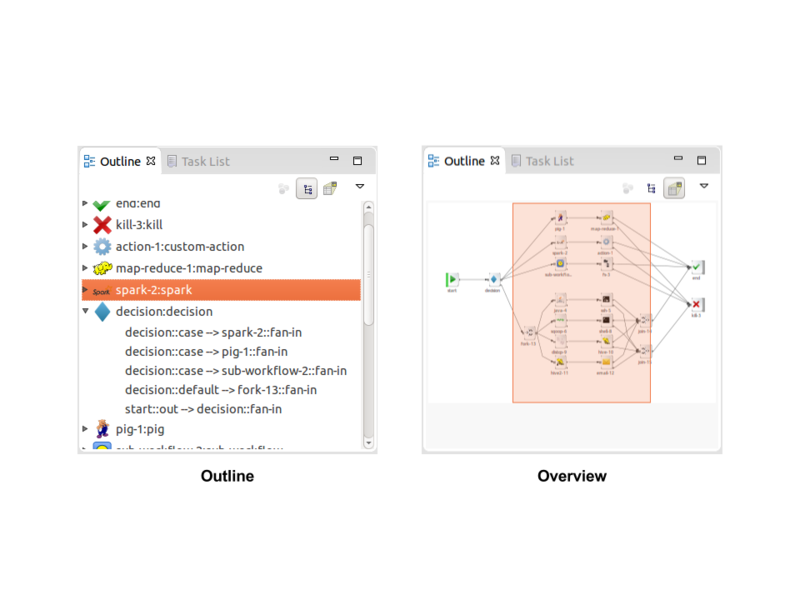 There are two views: the outline view and the overview view. 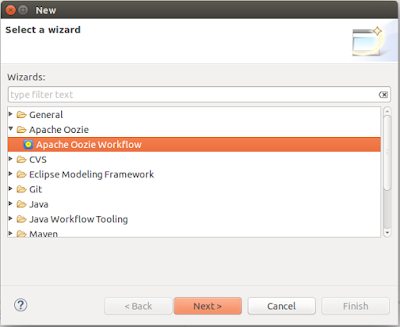 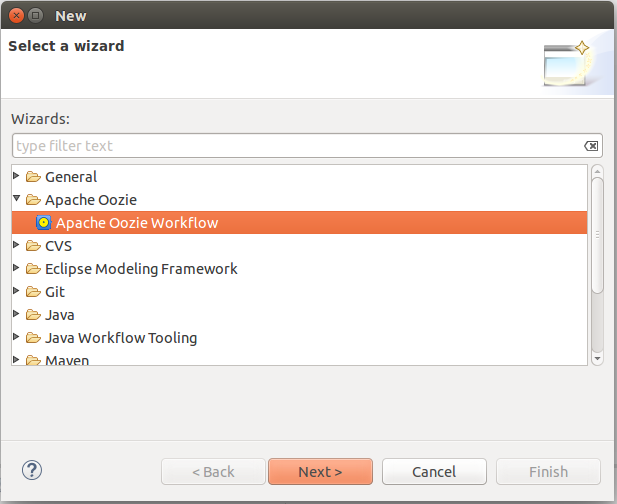 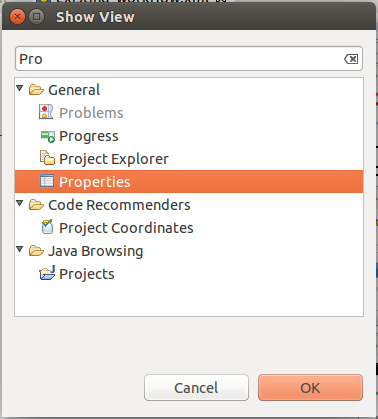 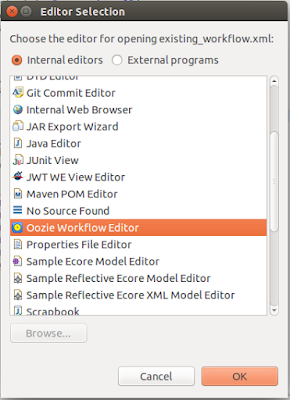 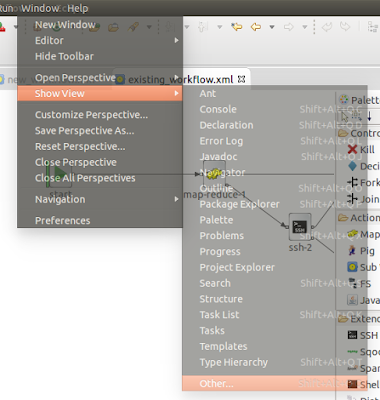 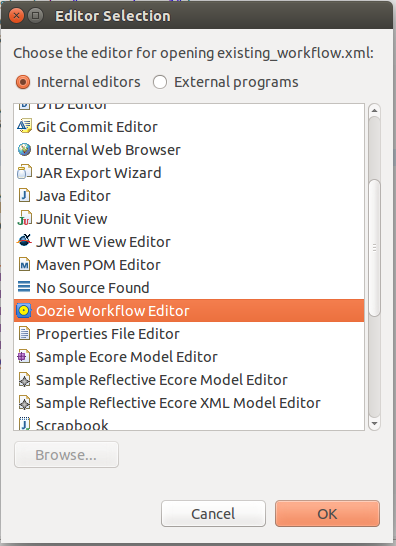 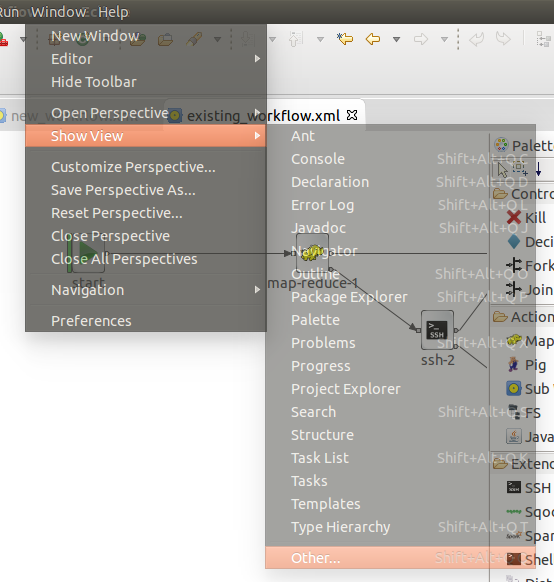 Each gives different kinds of shortcuts to reach and find workflow components. 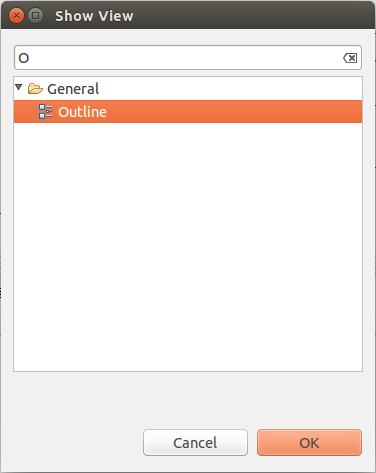 The Action bar holds shortcuts for useful actions: undo/redo, grid and snapping options, nodes alignment options, and zooming options. 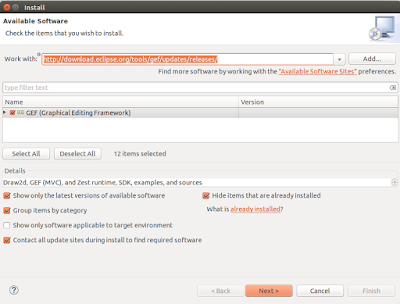 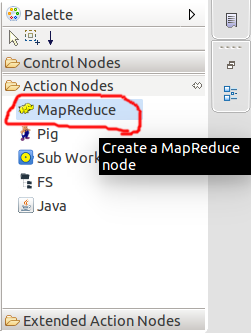 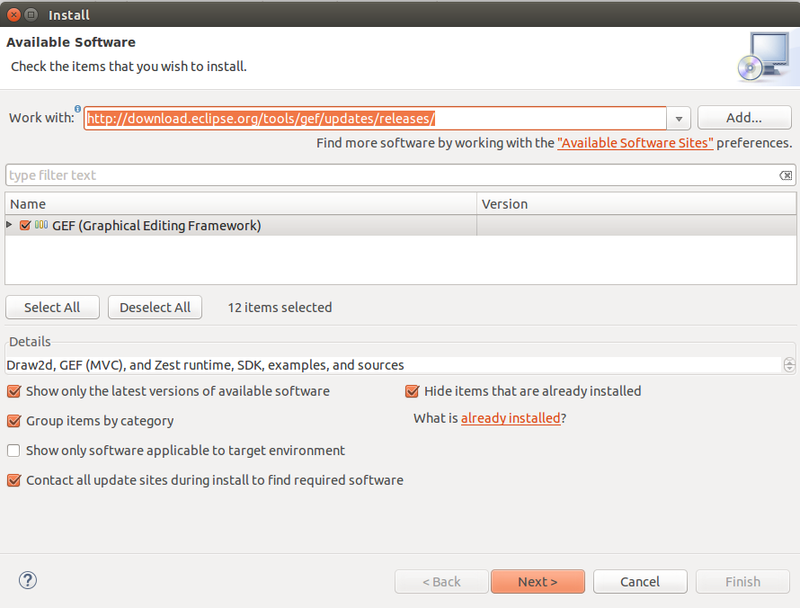 Then, you should manually install the required dependency. 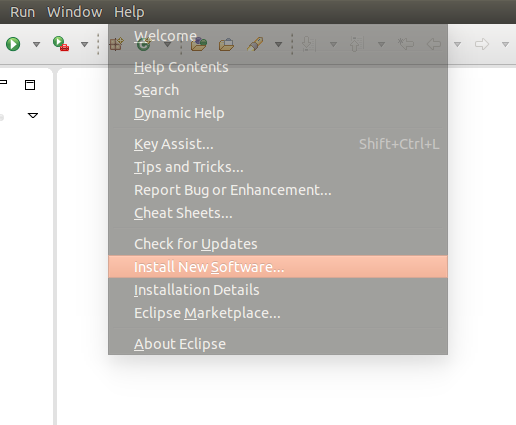 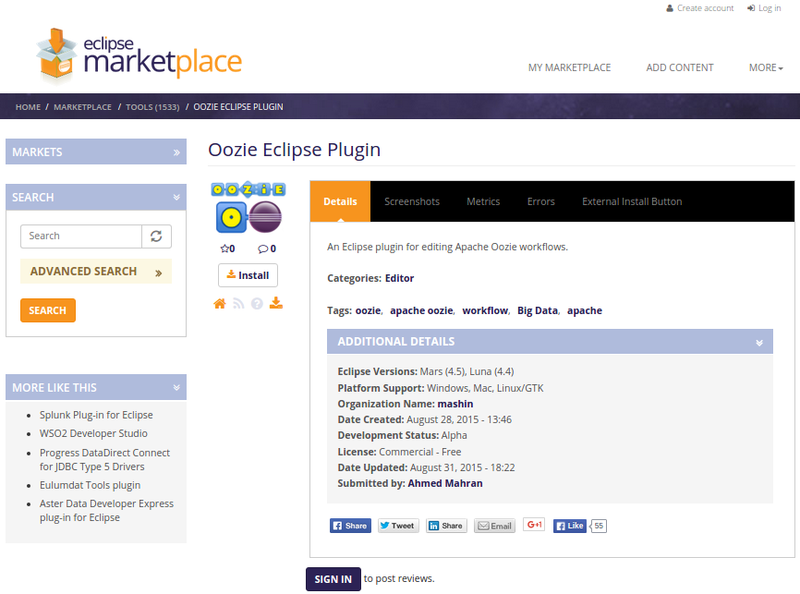 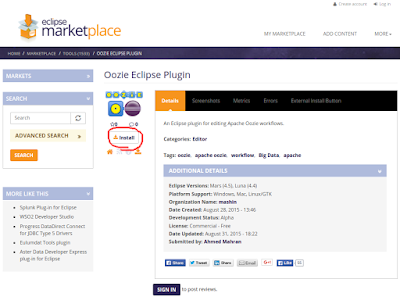 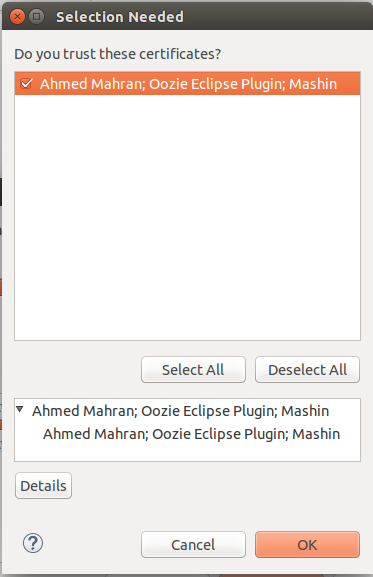 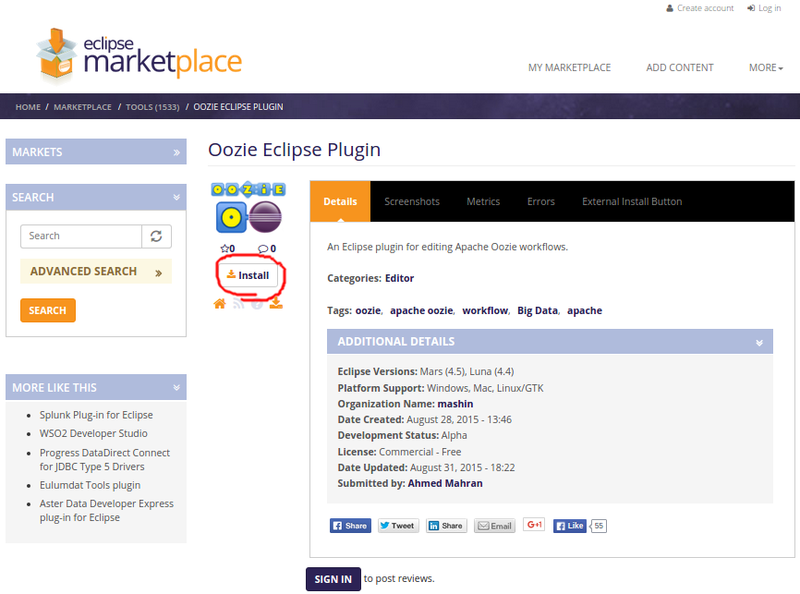 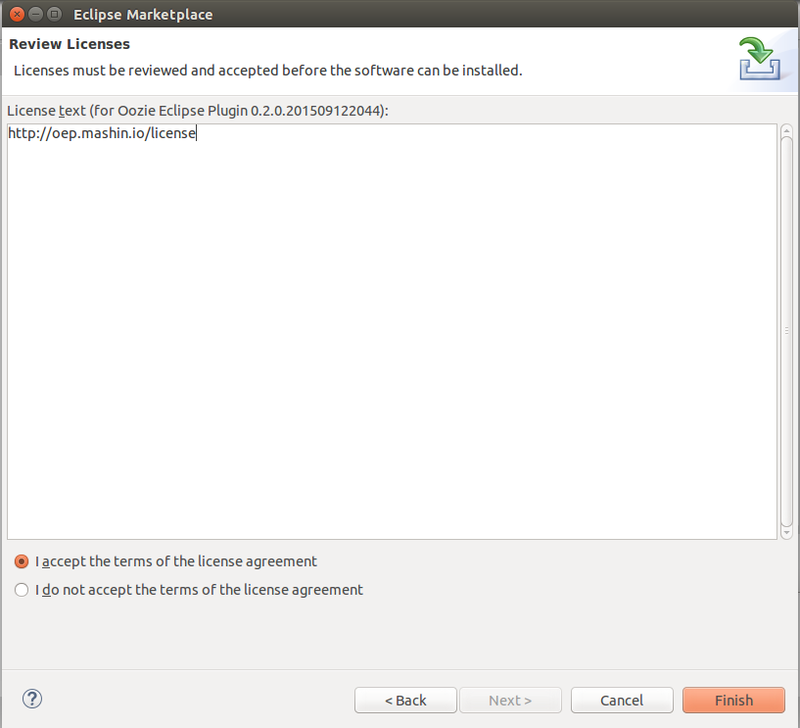 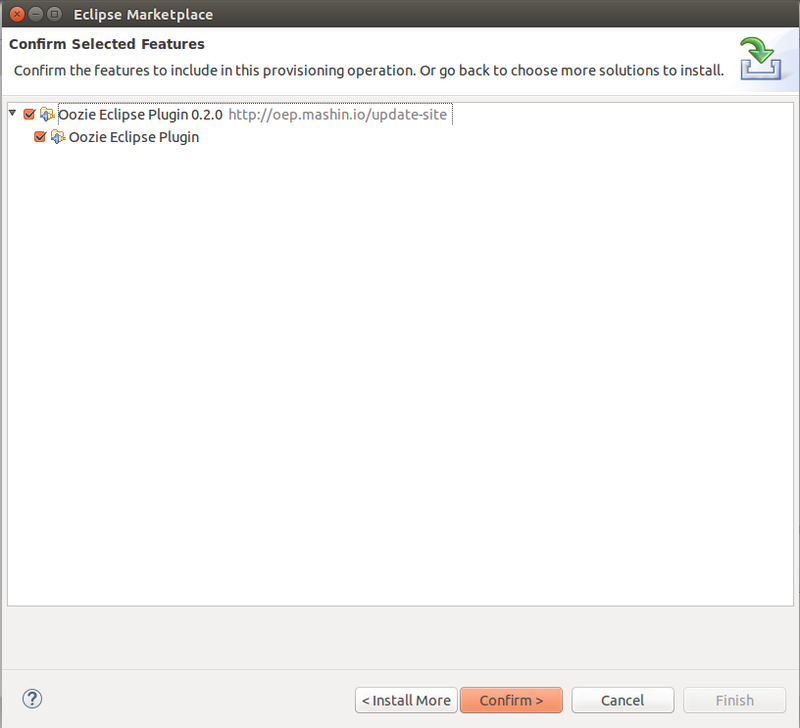 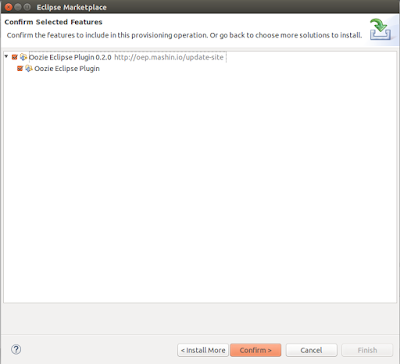 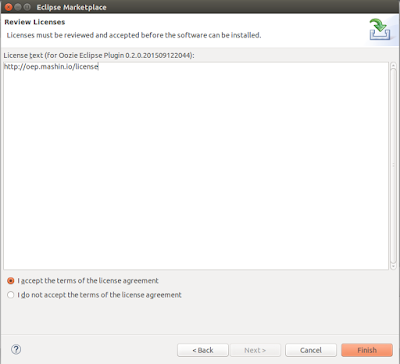 Add this site "http://download.eclipse.org/tools/gef/updates/releases/", select "GEF (Graphical Editing Framework" and continue GEF installation.